Have you ever thought that you don’t want to take a bath? If your answer is yes, why and when did you think so? Would you like to use DryBath? When/how can we use DryBath in Japan? According to Ludwicks speech why is DryBath packed in a little sachets? Did you know that there are more than 2.5 billion people in the world today that do not have proper access to water and sanitation? What do you think about this situation? Is there anything that you can do for them? What was your graduation day like? Do you still remember something from that day? Have a lot of your classmates married each other like MIT students? When you have an argument or quarrel with someone whom you respect, or you care deeply about, what would you do? Are you able to control your ego and pride? Once you have had trouble with very important people. How do you fix the relationship? Salman thinks money is not important compared with your health and relationships. Do you agree with this statement? What is the most important thing in your life? When you’re stressed out what do you do? Do you have any method or techniques to relieve your stress? What do you think of Salman’s advice? How do you deal with people you don’t like or hate? Do you ignore, dismiss or fight with them? Or do you try to empathize with them? What would you do if you need their cooperation? If you are able to go back to the past, how many years ago do you want to go back? Then, what would you do or change there? Q1: Is it possible for you to work from home now? Q2: If you can work from home, which part of your work can be done so? Q3: What would you do if you could work from home? Q4: If your current workplace has any good labor system that helps you balance the work and your private life, please share. Q5: Do you have any requests for your workplace? What kind things do you wish to change at your current workplace? Q6: After retirement, will you still wish to work? Please explain why. Q1: Have you ever heard of “developmental disabilities”? Before this meeting, what did you know about them? Were you familiar with them or not? Have you ever met anyone around you who has them? Share your experience. Q2: Can you explain the words such as “autism”, “ADHD” and “LD”? If not, please do a little bit of research and share your findings in your group. Q3: What would you do if you had a child with developmental disabilities? What kind of support do you think you can offer? Q4: To support people with developmental disabilities, what do you think our society can do? Q5: The topic maker wanted the participants to realize the necessity of looking at the world in somebody else’s shoes. Do you think you are the type of person who can think in other people’s points of view? Please share your effort, if any, to understand other people’s ways of thinking. Q6: No matter whether related to developmental disabilities or not, do you yourself have any behavioral tendencies? Do you have any thing you are not confident about? For example: forming relationships with other people or understanding others through listening or writing. Q1. Have you ever learned something from your mistakes? Share your mistakes and what you learned from them. Q2. When you make mistakes, do you regret for a while or make a fresh start soon? Q3. The speaker said, people tend to regret about education, money, relationships, health and so on. What do you think about this opinion? And how about yourself? Are you satisfied with those items? Q4. What is the best way to deal with our feeling of ‘regret’? Q5. If your friend missed the airplane and couldn’t attend the wedding party, what would you say to him or her who were in regret? Q6. What do you keep in mind not to regret? Q1. What is the most unforgettable natural disasters in Japan or the world for you? Q2. In your hometown, what kind of natural disasters can happen? How do you prepare for that? Q3. Do you think Japanese infrastructures like airports or subways prepare enough for natural disasters? Q4. What have you ever learned from natural disasters you had experienced? Q5. When you hear news about natural disasters in other areas, do you think about it as real or not? Tongue twisters are a great way to practice and improve pronunciation and fluency. They can also help to improve accents by using alliteration, which is the repetition of one sound. They’re not just for kids, but are also used by actors, politicians, and public speakers who want to sound clear when speaking. Below, you will find some of the most popular English tongue twisters. Say them as quickly as you can. If you can master them, you will be a much more confident speaker ! Let’s practice the tongue twisters in your group. There are a lot of English quotations. Do you believe in these? Q1 Do you have a bad habit? Please explain the process of trigger, behavior and reward. Q2 Have you ever tried to break your bad habit? Q3 What do you think is happening in your body and mind when you do the bad behavior? Do you think you can break the bad habit by thinking about what’s happening in your body and mind? Q4 Do you have another way to break a bad habit? Q1 This week, how many hours do you have meetings in total? How many hours do you think is wasteful? Q2 How do you manage your schedule? Are you sharing your schedule with colleagues on the calendar in your PCs? Q3 Are you suffering from MAS : Mindless Accept Syndrome? Q4 Have you ever had similar experiences with terrible meeting videos? Q5 Have you ever done No MAS the speaker introduced in his speech? Siamak Hariri　How do you build a sacred space? Q1. Please share 3 of your favorite buildings or objects in the world. (not famous things are also OK) Why do you like them? Q2. Which country’s buildings do you like most? Since when have you liked them? Q3. Please share a time when you felt something sacred. Q4. In Japan, where is the best sacred space? Please discuss and select in your group and then make your group opinion. Q1. Do you believe in aliens? (you mustn’t say “I don’t know”) And why do you think so? Q2. Please introduce the best alien movies. Why do you like them? Q3. If you met an alien (an intelligent one), what do you want to talk about with him (or her). And why do you think so? Q4. If we can go on space travel in the future, what is your preferred travel plan? Q1. How much and what kind of exercise do you do? If you don’t do any at all, what is the reason? Q2. Have you ever felt like you get better focus and attention after a single workout? Q3. Do you think your brain performance is better when you are in shape than when you are out of shape? Q4. What could motivate us to continue a 30-min exercise three to four times a week? Please share your ideas with the group members. Q5. What exercises do you recommend? What would you like to try? Q1. Do you take the shortest route to commute to work or school? If you make a detour frequently or occasionally, for what reason? Q2. Are you interested in “happy maps”, where you don’t only find the shortest path but also the most enjoyable path for you? What types of paths do you prefer, quiet, beautiful, or any other types? Q3. Please introduce your favorite route for a walk. Q4. Have you ever gone on an unplanned trip? If yes, how did it go? Where is your dream place to wander? Q5. The speaker says efficiency can be a cult. Do you agree with his idea? Explain why. 1. How was your New Year Holiday? Where did you go? What did you do? 3. How do you share New year greetings with your family or Friends? E-mail, LINE, make a phone call etc… How do you think about Japanese culture of sending “Nengajyo”. Did you write “Nengajyo” this year? 4. Are there any customs or cultures in your hometown/family to celebrate New Year or New Year Greeting? 1. Have ever felt that we use too much plastic every day? When do you feel so? 2. Do you think Japan uses more plastic compared to other countries? 3. Why do you think there is so much plastic in the ocean. 4. What is Boyan Slat’s invention? Do you think it is possible to succeed in the mission? 5. Share your opinion about his invention. What is the good point? 6. Can you try to reduce the use of plastic in your daily life? 1. Why do you study English? 2. Have you ever studied any other languages other than English? 3. Do you think a global language is needed? 4. 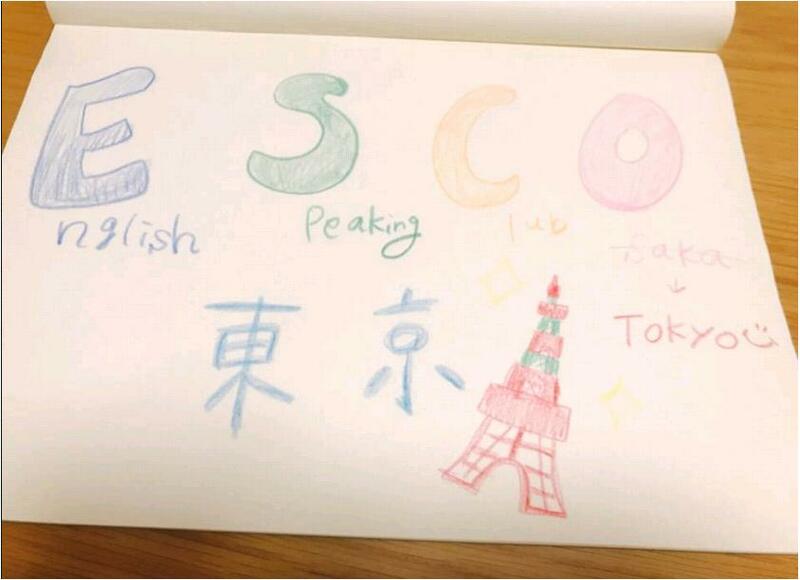 Do you think English tests like TOEIC and TOEFL are needed? What did she say about these English tests? 5. Do you agree or disagree with her statement ” They can’t pursue their dream any longer, ‘til they get English.”? 6. Does your company require a minimum TOEIC score for promotion? TOPIC：2　Cameron Russell – Looks aren’t everything? 1. What did Cameron say about appearance? Does she think it is important? 2. Have you ever thought about changing your appearance? 3. Can we judge people by appearances? Why or why not? 5. Cameron says who she is on pictures is not really who she is. Have you ever felt that your appearance doesn’t match with your true identity? Q1.Do you sometime use a smartphone while walking? Q2. If so, in what situation? Which application are you using? Q3.Have you ever had a dangerous situation when you are using a smartphone while walking? Q4.When did you first buy a smartphone? Q5.Are you addicted to smartphones? Can you live without a smartphone? Q6.Should elementary school students/junior high school students use a smartphone? Topic:2　Where is your favorite restaurant? Please share your favorite restaurant with ESCO members according to the procedure below. You can search by ‘食べログ’, ‘Hot Pepper’ and so on to get details. D…Every dishes are used soy sauce. Even sweets, pasta, cheese…and so on. E…「日本一！めんどくさいけどテンションの上がる卵かけご飯」. When you order it, you can taste 20-30 kinds of soy sauce with 卵かけご飯. ②Please start to introduce your favorite restaurant to each other with your sheet. Please find a time and go with ESCO members sometime if you know a nice restaurant.